The ARS Sevan Chapter was established in 1973 as the Orange County Chapter in California, following the request by 10 women, who applied, at the time to the “Inter-Chapter” (Mich-Masnajoughayin) Committee of the west coast. Ashkhen Keshishian and Manoushag Fermanian of the Inter-Chapter Committee oversaw the establishment of the chapter called “Sevan” after Lake Sevan in Armenia, at Veron Keuylian’s home. The first Chapter Executive consisted of the following members: Makrouhi Madenlian, Chairperson; Veron Keuylian, Vice-Chairperson; Manoushag Yegenian, Treasurer; Lousin Toprakjian, Secretary; and Sirvart Maljian, Advisor. The first chapter fundraiser was a picnic in the park. As the orange groves gave way to development, the Armenian population shifted, and traffic worsened. In 1993, the Karni Chapter was established with some Sevan members and new South Orange County residents. The Karni Chapter has joined the Sevan Chapter for three years, to jointly commemorate the memory of deceased ARS members and benefactors. Along with other chapters, the chapter recognizes new public high school graduates by contributing scholarships for college. The ARS Sevan Chapter Saturday School was founded in September 1973. The Saturday School was first held at the Armens Restaurant in the City of Costa Mesa. Eleven students made up the first student body, who were guided by the following four volunteer teachers: Nevart Balian, Zevart Keuilian, Ojig Keuilian and Lucy Toprakjian. Sirarpy Asarian joined the volunteer teachers at a later date. Over time, the school expanded. By the 1980-1981 academic year, when the closest Armenian day school was the Mesrobian Armenian School in Pico Rivera, the number of students was 150. The school moved to La Quinta High School in Garden Grove, then Spurgeon Intermediate School in Santa Ana (1979 to 1985). For two academic years, 1985 to 1987, the school day switched to Fridays, as classes took place at Saint Barbara Catholic School in Santa Ana, across the street from the current location. The Sevan Chapter donated $25,000 to sponsor the second story south-eastern corner classroom at the Ari Guiragos Minassian Armenian School. The classroom, during the first few years, as the building was not being used to capacity, became the ARS office, following the closure of the shared center in the City of Costa Mesa. The Sevan Chapter bought classroom furniture for the first time, to move into the newly built school site in 1987, before the Minassian School opened during the next academic year. Later on, the chapter contributed $85,000, towards the acquisition of land and construction costs for the current Harut Barsamian Armenian Center in Santa Ana, located in the lot next to the church and school. The chapter has an office in the center building since the opening in June 2003, and over the years provided ample funding to furnish the office and kitchen with cabinets and equipment. Since the early days, the chapter members volunteer their time to cook for the center Friday dinners, so funds can be raised to pay for center operational expenses. The chapter has published two cookbooks, with recipe contributions by members and community supporters. The first one was published in 1995; the second one followed in 2005. The chapter participated with other ethnicities for an exhibit at Bower’s Museum in Santa Ana, showcasing an Armenian “treasure chest”, along with others in cooperation with the Historical and Cultural Foundation. The chapter was supportive of the victims of the 1988 earthquake in Armenia and the liberation struggle in Artsakh (Karabagh). Other than the usual monetary and winter supply donations, the chapter supported three orphaned sisters in Armenia through the ARS Sponsor-A-Child program. 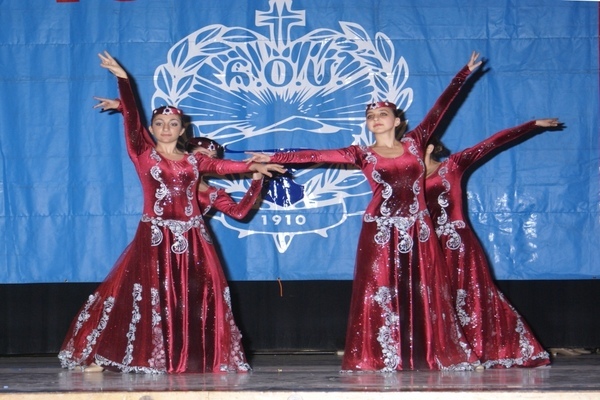 The chapter has organized lecture and cultural programs, including one about Javakhk, to raise awareness about the suffering of the Armenian population. Over the years, along with contributions to victims of various disasters here in the United States, and in other continents through the ARS, the chapter has contributed to the local Red Cross, women’s shelter, children’s hospital, and participated in food drives for a homeless shelter. Over the last four decades, the ARS Sevan Chapter continues to touch the hearts of many individuals, young and old, in the community and all over the globe. 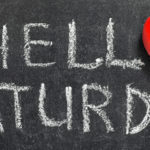 Registration & Back to School: Saturday, September 8, 2018; Hours: 9:30 a.m. – 1:00 p.m.